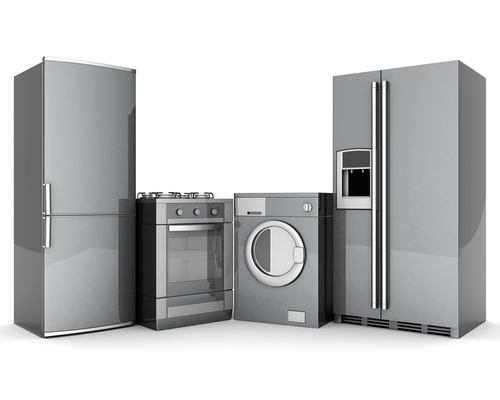 There are many factors to consider when you’re outfitting your kitchen with new appliances. Price is obviously a main concern for many, but you should also look at which features are important to you and which models complement the total look of your kitchen. Here’s a guide to the major kitchen appliances and the important points you’ll want to keep in mind. Before you fall in love with the perfect double-wide model, make sure to measure the amount of space you have available. You’ll find refrigerators in different widths, heights, and depths, so it’s a good idea to carefully evaluate how much food storage space you really need. Refrigerators also come in many different finishes and styles, including wood and brushed metal. While a combination range and oven is most common, it’s also possible to get them installed separately if that fits your space and your needs better. The range and oven you choose should be determined largely by the way you’ll use them. If you cook frequently, you’ll want to look at highly functional, commercial-type models with lots of features to suit chefs. A range and oven that will get used less frequently might be more decorative than functional (such as a vintage model). Even though it might not be the first appliance you think of, don’t forget about the humble microwave. Built-in versions harmonize well with the rest of your kitchen, or you can choose a freestanding model in the size you prefer and with the features that you’ll use often. Don’t forget about the environment when you’re shopping for appliances. You’ll find plenty of energy-saving and eco-friendly models on the store shelves. If you’re confused about the features, the salesperson can help you figure out what the actual effect will be on your utility bills and the environment. You’ll be using your appliances regularly. It’s worth taking the time to make sure they’re ones you absolutely love.